Can you make the CFM resign values move as quickly as the MUT auction values? Can the CFM draft screen see the pick order of all 32 teams, rather than the next 8-10? Can you make pass blocking on all formations similar to bunch and trips te where the off line fans out? Can you help the off line pick up stunts? After that, add stunts to the def line? Can the off line have more success against smaller def packages? Can we fix the hb dive so that it doesn’t reward people who go straight to sidelines and spin back inside? Anyway, email me if you want a comprehensive list of observations. Can you fix where players don’t jump or react to the ball when in position to intercept or even bat the ball down? Too many times I've lost games because my heatsink gets turned off and someone is spamming the precision spin which is far beyond OP. And can't make a tackle. EA - when are you going to address the following 1. LB and DB change of direction with no speed penalty; also WR has 5 yards on a DB then throw the ball and the user can Speed burst and beat ur WR to the spot. 2 throwing the ball I should be able to throw a bullet to a WR 30 yards down field without a LB at the DL or 5 yards of the OL jumping and intercepting the ball meant for a guy 20+ yards pass him. 3. Blocking it’s so easy to trick the OL, so many free rushers on Max Protection or just letting players run pass them without attempting to block them. 4. Did I mention no defensive change of Direction penalty? Why can a LB take away the the entire field with no loss of speed. need more gang tackling animations , defenders stop pursuit once a tackle animation begin instead of joining to bring down ball carrier. WR even give up pursuit on interceptions to do a slow moving "give up animation"
light weight players should get pancaked/trucked more often (nickel blitz 2 anyone?) . The defensive tackles and defensive end should never get dramatically pancaked in the run heavy/pass commit mechanic. In franchise mode (as a player) is there anyway to fix it where you can shift your receivers where you want? That'd be dope. Great work devs! Thank you for listening to the community and fixing these exploits! 1. Ability to completely customize divisions/conferences. It would be nice to be able to set it up exactly how you want, example... if you have users from the pacific time zone you could set them in their own division so that their availabilty times are similar. Also, after a couple seasons we noticed stronger players in certain divisions and weaker players in others. Instead of making the users switch teams and completely miss out on all their xp and franchise building, we could just realign the divisions to help balance out the league. 6. Ability to customize the playoffs any way you like. If you want to have the top 8 teams, 16, or even get crazy and have a 32 team bracket at the end of the season! Ive been having the continuous problem where I’ll be in man coverage and the CPU or user will put a guy in motion and my defender will not follow, only to be shredded on the play. I can also agree on the bullet pass problem where every LB has a 64 inch vertical. No reason why almost every pass over a defender is pickable. Why is there absolutely no arc on any throw that a quarterback has. Blocking is atrocious and your linemen never pick up proper blocks even when utilizing the protections. No reason why a 62 rated QB is torching my 90 rated defense for 3tds and 80% completetion percentage, no reason why I'm dropping back and getting sacked before I set my feet vs barely being able to touch the CPU unless I get creative with blitzes. No reason why madden feels the need to force 2 fumbles and basically gift points to the CPU when they have 0 points going into the fourth and are down by 40. Unless playing complete prevent if you are still calling the game the same way the game shouldbt force a score by the other team for the sake of valance. Make a football game that actually feels like a football game. Honestly ive never seen one player in the NFL spin like 90% of madden players can. Million dollar budgets, 100 people teams and this game is still **** trash. Sad thing is a few things here and a few things there it would be great. Please look me up if you need new QA people I def have QA experience because the product you guys put out I would never let pass certification. I was hoping this patch would fix the issue I have Every time i try to do draft vs friend it tells me our servers cannot process this information, please try again later. MUT draft is still inop. We just have to face the facts. With no other NzfL games available EA will not get it right, because there is no one pushing them to make long over due improvements to this title. 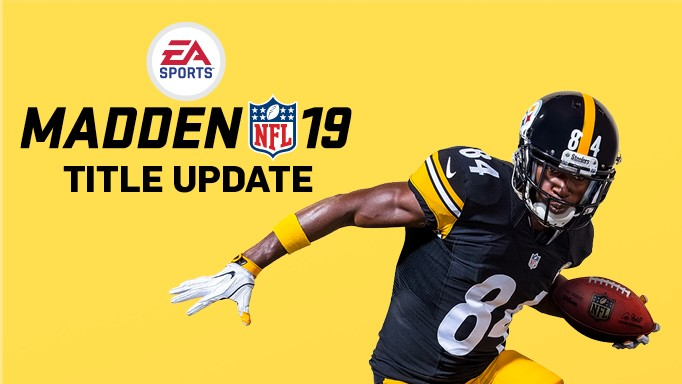 Madden NFL 19 is broken and EA will not address it cuz what other NFL game are gou/we going to buy.